One man playing 24 characters may sound like a herculean task, but veteran TV actor Rakesh Bedi will make it look like child’s as he brings his one-man comic show Massage to Dubai on Friday. The two-hour monologue, acted solely by Bedi who has starred in hit TV shows including Yeh Jo Hai Zindagi, Shrimaan Shrimati and Yes Boss, will be staged at the Emirates International School Jumeirah. “The character in which I play a politician’s assistant Pandey is hilarious… You will love all the characters,” said Bedi. He has just one request. “Switch off your phones” because he gets distracted by the sound of phones interrupting his play. When the play finishes, the audience will get the distinct feeling that they have seen several actors in action. 1. 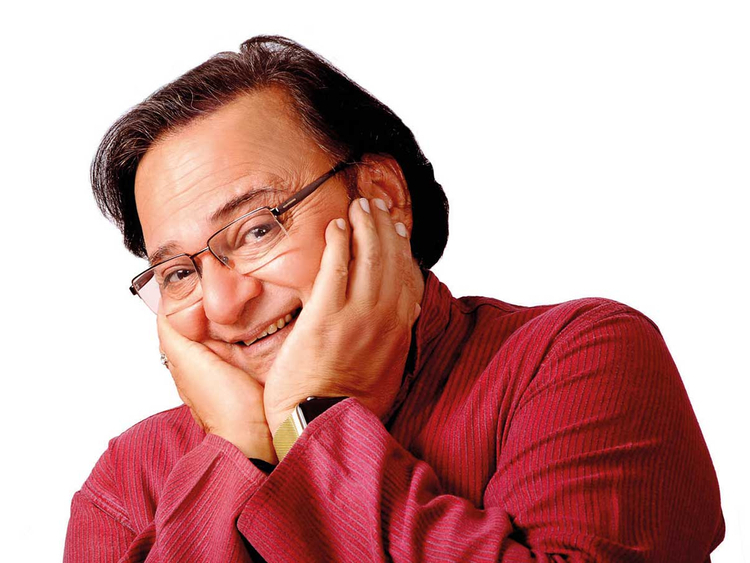 Massage is a play that Rakesh Bedi launched 13 years ago and he has performed it over 50 times across the globe. “Massage is a play that was originally written in Marathi by Vijay Tendulkar and later adapted to the Hindi language… I staged this play in Dubai around four or five years ago and what’s best about that city is that the audiences and their tastes keep evolving. I am eager to see how they react to this show now,” said Bedi. 2. Massage is the journey of a man who lands in Mumbai to become an actor. 3. Rakesh Bedi plays multiple characters in Massage. 4. For Massage, the actor drew extensively from his personal experiences. “This is an adaptation of a Marathi play and so it has hundreds of anecdotes that happened in my real life. When a good writer gives you a good playground with a good story, then you can do a lot with it. I haven’t changed the plot of the original, but I have tweaked a bit … There’s no reference to #MeToo as we couldn’t disturb the original storyline,” said Bedi. 5. My biggest challenge for this play is to get people into the theatre to watch him.